AC Automotive Inc. opened its doors in 1985 in West Hartford Connecticut. We are a family owned an operated business, which believes that every customer should be completely satisfied. It is this motto that has helped our business thrive throughout the years. What once was a three bay repair facility and gas station has since evolved into an eight thousand square foot state of the art collision center. With a professionally trained staff and the most current equipment, we are prepared to repair your vehicle in as little time possible with the highest quality of workmanship. AC Automotive Inc. offers many additional services, including towing your vehicle if necessary because you should never drive a vehicle that could be unsafe. Also, we will contact and work directly with your insurance company for you. Our staff will even be happy to arrange your rental vehicle. 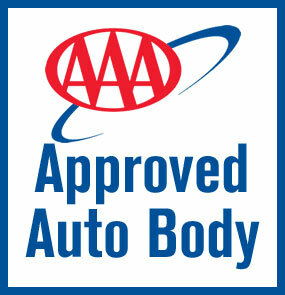 At AC Automotive Inc. we will make a smooth transition from damaged vehicle to being back on the road. Once your car is as good as new, we want to make sure that you are completely satisfied with our services. We offer a limited lifetime warranty on all our repair work. If you do experience any problems we would like to be the first to know and have the opportunity to make them right for you. In an ever-changing industry AC Automotive technicians frequent I-Car classes to stay at the top of their field with the most current techniques and applications. AC Automotive meets all of the the standards for a lot of the popular cars on the road today. We will assure that your vehicle will be repaired to factory specifications. We will pick up and deliver your vehicle if necessary. We would also be happy to drive you to your home or place of employment upon drop off of your vehicle. Our staff is happy to help coordinate your rental with Enterprise Rent-A-Car. We will also keep you, Enterprise and your insurance updated throughout the repair process. AC Automotive provides an easy key drop option if you are unable to drop off your vehicle during normal business hours. We offer you a 100% guarantee on any and all work we perform on your vehicle for as long as you own the vehicle. Our goal is to ensure that our customers are 100% satisfied. AC Automotive never wants a customer to drive an unsafe vehicle. If your vehicle is not safe to drive we will coordinate the towing of your car for you.